Offer more payment options to your customers & reduce your merchant fees with Hike. Hike lets you create custom payment types e.g., check and records all associated cash movements so you can report precisely on every payment type. This enables you to accept all payments suitable for your business. Accept all cards at checkout using a payment terminal of your choice. Hike integrates with the world’s leading payment providers to offer you and your customers choice at checkout. With integrated card payments, amounts are automatically posted to your card terminal, so it helps save time and reduce errors. Hike also lets you setup custom payments so you’ve freedom to accept any and all payment types. 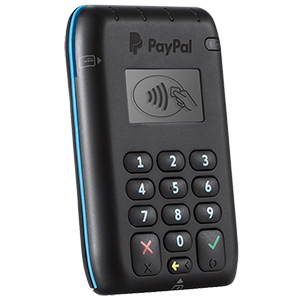 So, you can even continue to use your non-integrated card payment terminal. With built-in gift cards feature in Hike, you can issue your own store issued gift cards to your customers. Even track issue & expiry dates, associate cards with customer profiles & track its usage. Provide your customers one more reason to keep coming back and reduce your merchant fees at the same time! Hike is portable on iPad registers. Combine it with a fully integrated mobile payment devices to accept payments on the go. These mobile payment devices are as lightweight as your Hike register and connect wirelessly with Hike. Offer your customers an added convenience of contactless payment options like Apple Pay. Mostly Hike’s integrated payment devices feature contactless payments. Designed to make in-store payments fast by directly connecting your POS to your Presto Smart payment terminal — taking away the hassle of manually keying in transactions and speeding up sales at check out. Accept every payment type with Tyro including contactless ‘tap & go’ payments. Tyro is fully integrated with Hike, is easy to set up and available on iPad, PC & Mac. PayPal offers one of the fastest approval process. Their card reader is mobile and can accept all types of payments including swipe, tap or even pay with mobile wallets such as Apple Pay. Your region or preferred card processor not listed here? That’s not a problem. Simply set up a custom payment type to accept payments using a non-integrated card terminal. Hike will still track and report on all transactions made with this payment type. Worldpay, an award-winning payment processing platform, is available on both Hike cloud (for PC & Mac users) and Hike iPad register app. Accept swipe, tap, or even contactless (NFC) payments such as Apple Pay. Can not find your preferred payment solution? That’s not a problem. Simply set up a custom payment type in Hike to continue using your existing card terminal. iZettle, Europe’s number one mobile payments provider, works seamlessly with Hike iPad register. iZettle, Europe’s number one mobile payments provider, works seamlessly with Hike iPad register. Available with Hike in Germany, Spain, Sweden, Norway, Finland, Denmark, The Netherlands and France.